“I was just some guy who saw the problem and felt bad because I wasn’t part of the solution,” says “Birdman” James Cataldi. Block 2189, lot 50 is teeming with life. The lot has no address, and no owner, but it is by no means empty. 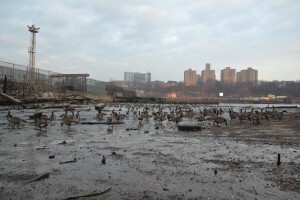 Better known to locals as the North Cove, this partially submerged mudflat on Ninth Avenue near 207th Street is to waterfowl as Times Square is to commuters. New York State-licensed Wildlife Rehabilitator James Cataldi believes it is an age old stopover on a timeless migration route. Cataldi has seen a number of bird species flock there. They include several kinds of ducks, herons, kingfishers, Peregrine falcons, mocking birds, magpies, as well as sandpipers, geese, and other migratory birds at the cove. 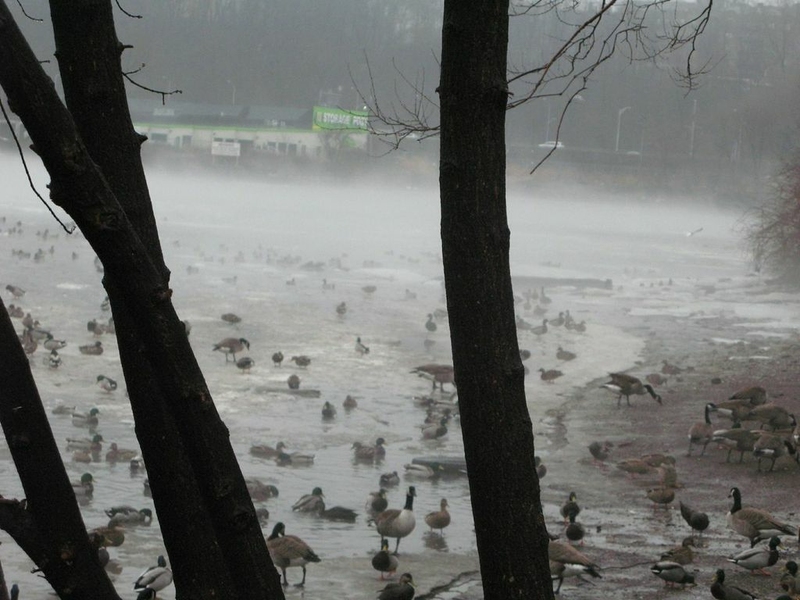 On a recent winter day, a collection of feathered fauna quacked, mingled and flapped and about like school children in a cafeteria, only louder. 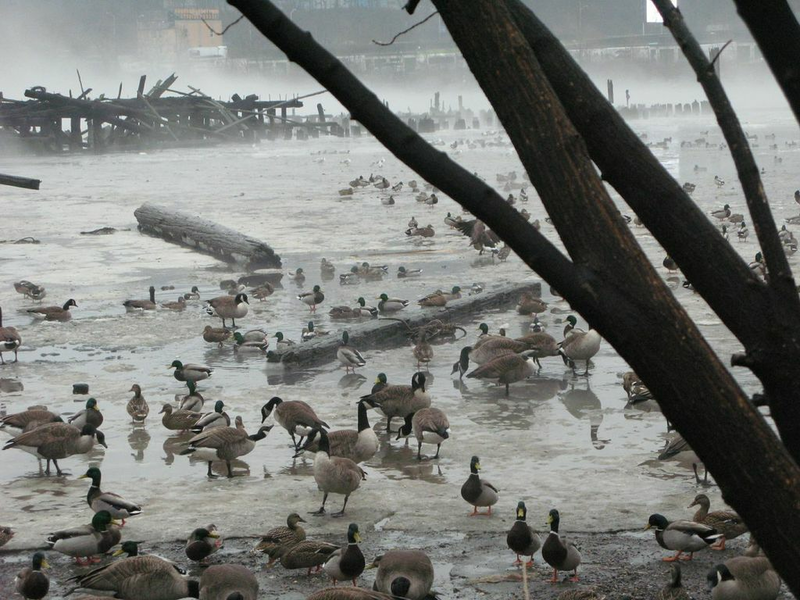 Many of the birds rely on nutrients in the mud and algae to sustain themselves. When one looks at the vast collection of feathers, wings, and legs from a certain angle—a view that does not include wood pilings that used to be a dock, or the halfway submerged tires—the cove is a portal that transports you to a different Manhattan, a green, sparsely populated island that went by the name of Manhahatta. 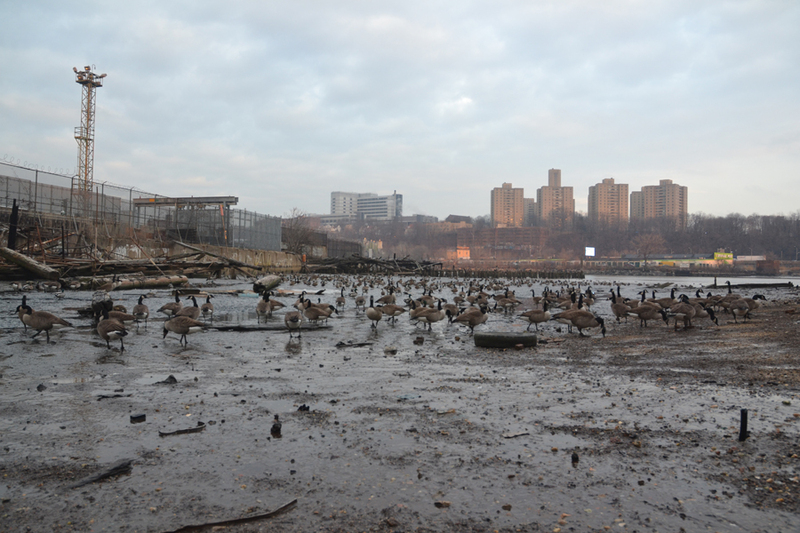 It did not look like this five years ago when Cataldi, an Inwood resident, decided to clean up the cove. Cataldi, who left a Wall Street job after 9/11, comes to the cove nearly every day to clean up. After five years of work, he has removed 1,300 cubic yards of trash, including kitchen sinks. He has also dragged syringes, tires, rotting carpets, clothes, an empty safe, bikes, cars, boat parts, drivers’ licenses, leaking oil drums. Once, he pulled an old truck – with a 30-year-old tree growing out of it. Now the beach is visible and a path has been cleared through the brambles that hug the fence separating the cove from the adjacent parking lot. Cataldi says he has even seen seals relaxing at the cove. But the wildlife worker some call “The Birdman” doesn’t accept accolades easily. “I was just some guy who saw the problem and felt bad because I wasn’t part of the solution,” he said. The site’s use as an active garbage dump made his work challenging early on. “When I first started cleaning there were only two geese and they were eating garbage. They were like hot coal walkers walking through the glass,” he recalled. But instead of simply lodging a complaint with the city, Cataldi took matters into his own hands and developed a rapport with the locals who used the cove, from the bottle collectors who were illegally dumping trash to the crack addicts who stationed themselves there. The North Cove was previously an illegal dumping ground. And he hasn’t seen a single syringe in two years. He has also gotten help from volunteers throughout the area, including youths from the Dyckman Houses. And the cove got a little help from natural disaster. The storm surge from Hurricane Sandy flushed out oil leakages that had been plaguing the hamlet for years. Now the area is filled with several species of crabs, shellfish, and birds. It also has resident mammals, including possum, raccoon, and muskrats. “This project takes away a lot of excuses. It shows what can be done,” said volunteer Gary Yugetsu Sharp, as he and Cataldi raked the beach for debris one afternoon last week. Sharp is a Bronx resident who lives on the other side of the Harlem River. “If anyone saw this when James started, they would have said it was a lost cause,”he said. 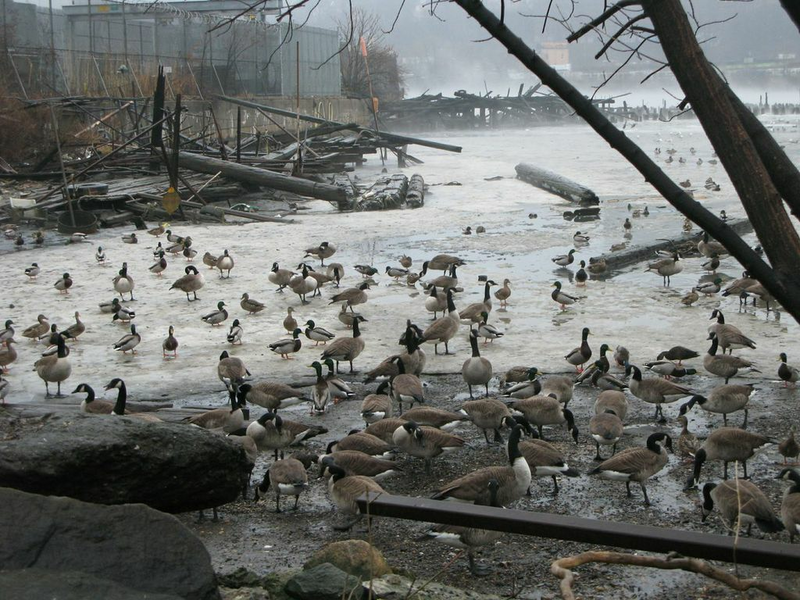 Now it is a bustling safe zone for birds that might help resident geese regain their natural instincts. Cataldi charges that quick jaunts between area coves like the one in Inwood Hill Park helps the birds regain their migratory instincts. 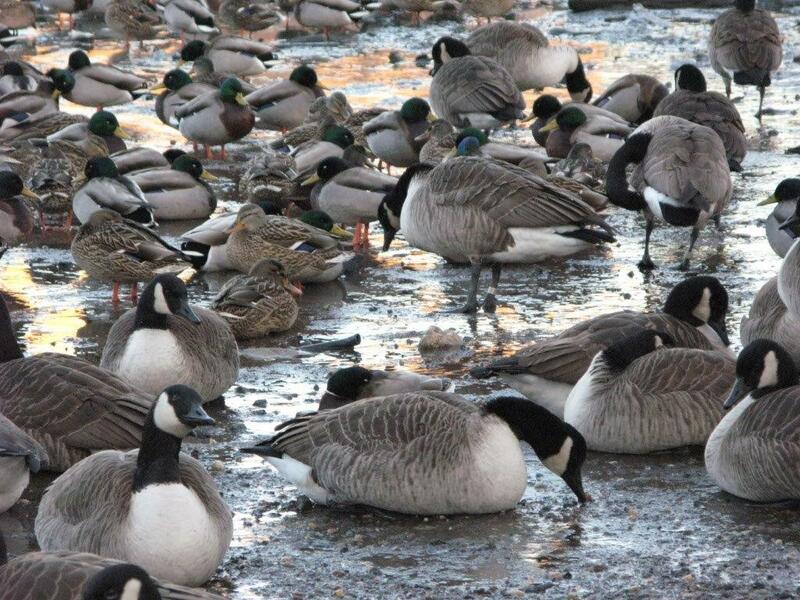 In an effort to encourage this behavior, Cataldi discourages the geese from breeding at the cove; they generally tend to home around egg laying areas. In the winter, Cataldi and other volunteers offer seeds to supplement the birds’diet, and to help keep their immune system strong. He also takes them to nearby animal clinics if they have an urgent medical need. But in the spring, he does not offer then additional food because he wants to encourage them to migrate in the fall. But until then, Cataldi is worried he might not be able to supplement the birds enough this year. 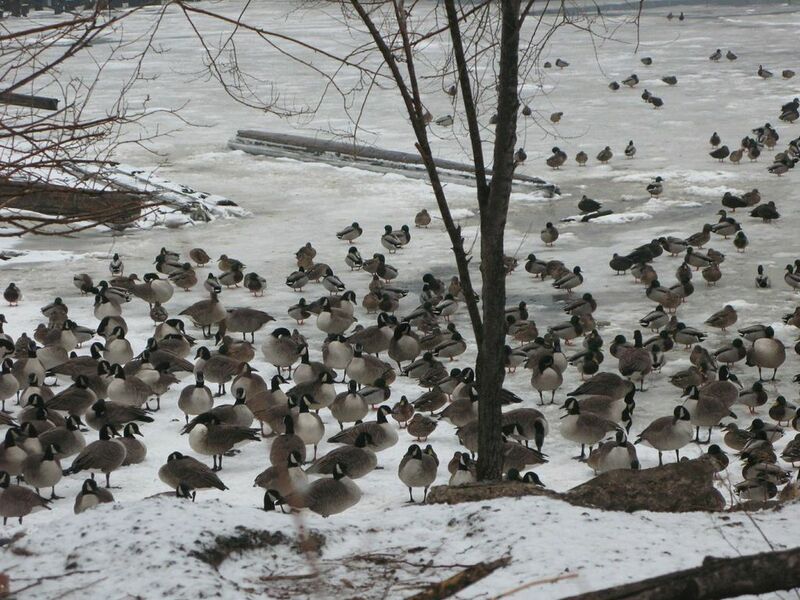 The Polar Vortex caused for some freezing over of the geese’s foraging areas, prompting a greater need for seed. But there has also been an unexpected loss in funds. 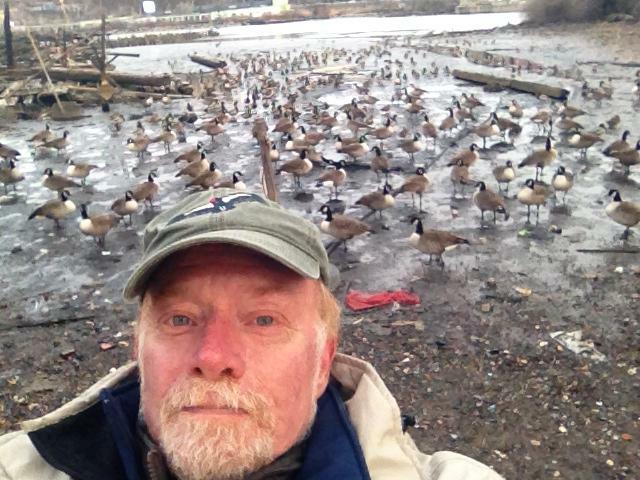 Cataldi had entrusted a volunteer with money to get feed for the geese, but after two weeks, the volunteer has not returned. It’s fair to say the resources are gone. 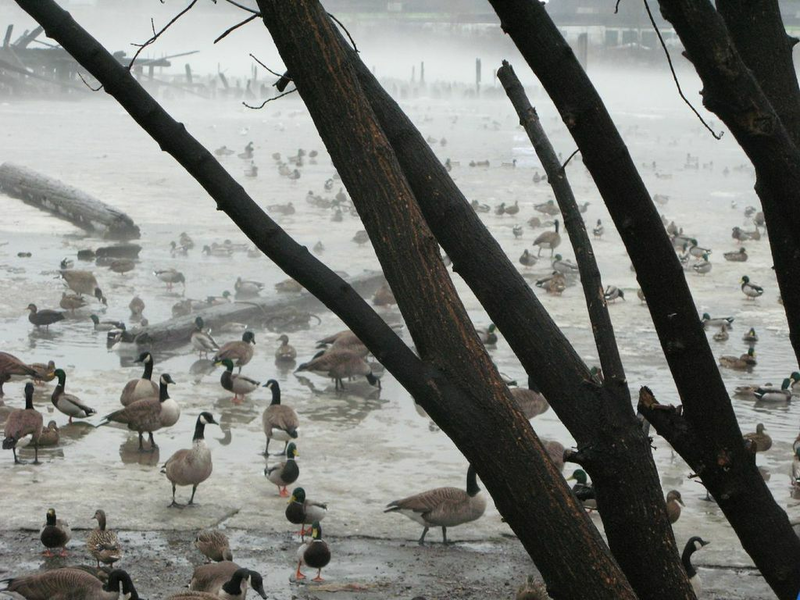 Now Cataldi is worried there won’t be enough funds to help the geese get through the winter. 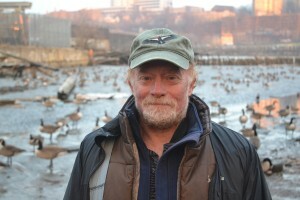 He has started an online fundraiser at www.nycwetlands.org to help collect seed funding. And as he notes, there are many ways to help the cause. Volunteers are needed at every turn. They’re bound to make interesting discoveries about urban wildlife – above and in the water. Manhattan is a wintering home for many birds on the east cost migration path and has been for thousands of years, perhaps 100s of thousands or more. The trend is that we are destroying so many places like North Cove along this east coast migration path, that birds (and multigenerational insects like the monarch) can’t get from one place (to rest and heal and eat) to the next. 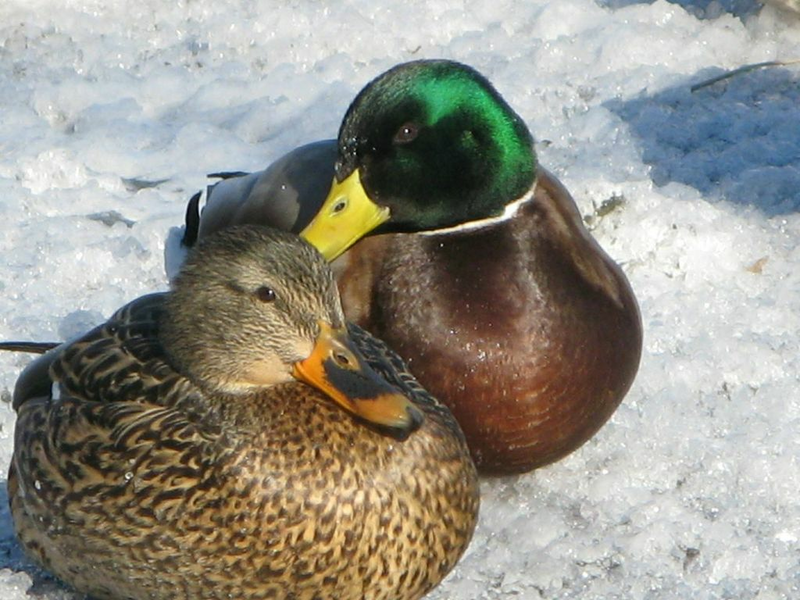 Especially final locations for the season, like summer or winter, for species like the waterfowl who rely on the Manhattan area in the winter and has from what we can tell since before recorded history. With out healthy migration landing points like north cove dedicated to migratory wildlife especially in dense urban environments the east coast migration is under a realistic non recoverable threat of complete collapse. MWAWA is now responsible for protecting, and providing stewardship for the North Cove Wetlands migration point, under the leadership of James Cataldi, licensed wildlife Rehabilator and 2012 US EPA Environmental Quality Award Winner; highest honor for enhancing and protecting public health and the environment. North cove serves this critical function as a “health hub” Not only as a restored wetland estuary cove, into it’s fifth year but also where migratory and native wildlife / feral are captured and released for medical purposes, cared for and protected. The medical component of MWAWA stewardship is central to our value proposition; and provides health benefits far beyond the area…up and down the east coast. We as well have plans and a expert partner to help us to re introduce marsh vegetation into the mud flat making it a five zone or level salt water marsh. In a decade or so when a five zone marsh will be fully established by our current estimates, all at no tax payer expense, North Cove Stewardship will be fully beneficial to the entire region. We ask you to join us in our mission, starting today with a donation or paid membership or volunteering at any level you wish and can afford. We can also receive items we can sell to purchase critical wildlife conservancy items gladly. It is our vision that the Inwood North Cove Wetlands will be a lush self sustainable natural habitat eco system with the capacity to support multiple species through out the year. And monitoring / medical catch point. As well providing a scientific and enjoyment opportunities for all New Yorkers and tourists from around the world. And providing naturally diverse nourishment in the winter months, in the water and on land. Until then we ask for your support, especially now. North Cove offers great access to the Harlem River and an ideal setting for community out reach programs; and environmental justice internship as well as community service programs. An ideal location to teach people about natural habitat conservation, community service, and how modern plant growing techniques can create small business drivers and career opportunities here in Inwood, and help save and return natural habitats, like Inwood North Cove. At the core of our behind the scenes work we have been developing, measuring and refining techniques which look to be becoming increasingly more effective in promoting spring migration north. 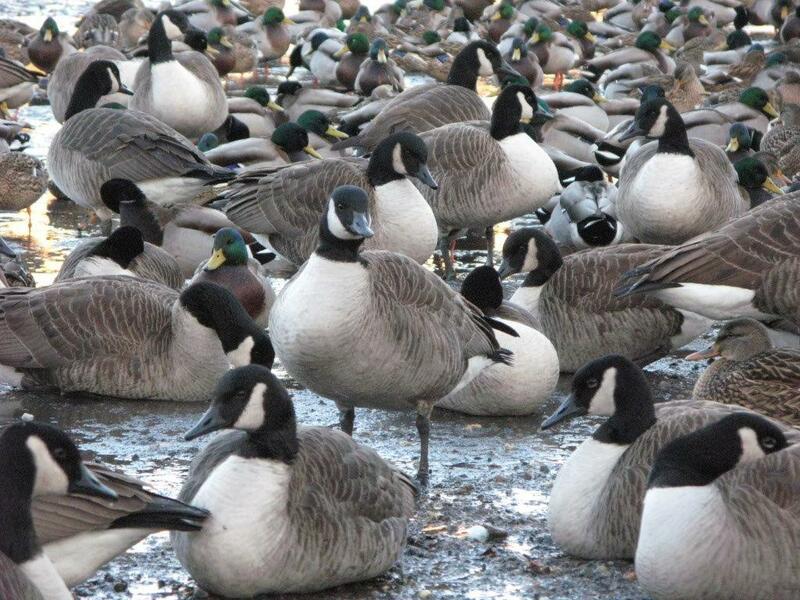 This work and scientific research directly aids in reducing the numbers of geese year round in a sustainable manor. And not using critical city tax dollars as do the non sustainable killing programs carried out in the area parks in the summer by gassing them to death, including babies. 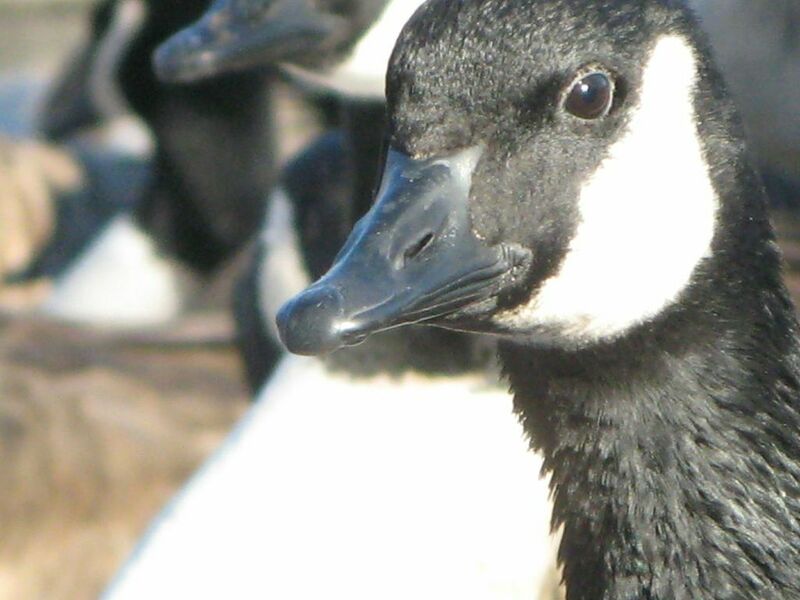 Better to give the geese healthy winter homes, and build the birds up strong to make the migrations north then to kill them, and having year round residents of our parks and ball fields. And all the other benefits of places like the North Cove Wildlife Refuge/ sanctuary. This year North Cove needs more food on the ground to keep the immune systems healthy for all the wildlife using the North Cove for their winter home. THE BIRDS MOVE BETWEEN NORTH COVE AND THE AREA PARKS SO WE ARE SERVING THE ENTIRE AREA NOT JUST NORTH COVE. As the unexpectedly cold winter start and several early snow falls followed by freezing spells killed almost all of the grazing area, at north cove, which was expected to continue to feed the flocks into February, as we planted winter rye in late October. We hoped for at least 45 to 60 days of grazing area this year. So we had to start our supplemental food program earlier than we planned. And working on new methods to keep more grazing pastures starting next year. However we need more funds critically today and next month and are reaching out yo the public to support our mission. We believe that the unusually high number of loose dogs off leash have made the populations higher at north cove this year. WINTER HOME NEEDS TO HAVE ENOUGH FOOD TO KEEP IMMUNE SYSTEMS HEALTH / AND READY FOR SPRING MIGRATION NORTH.. ONLY 60 more days to get ready for trip north as of January 20th 2014. 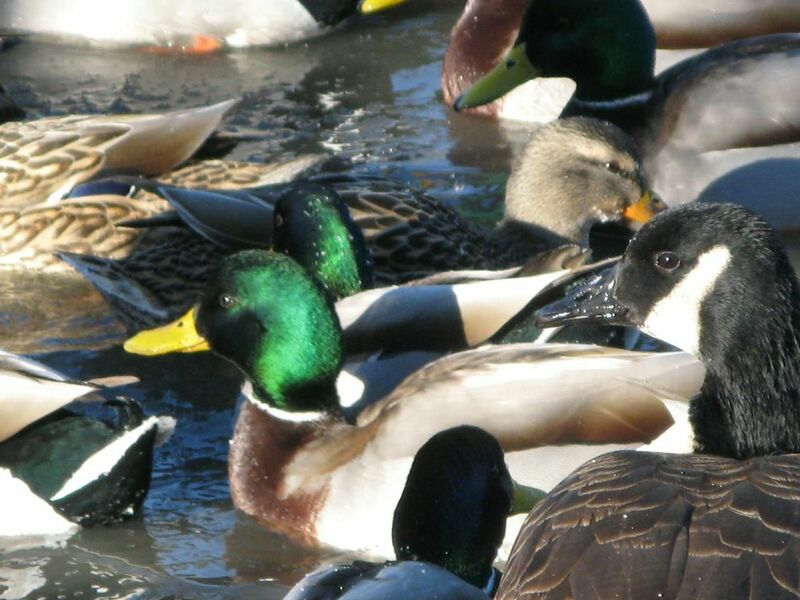 While most of the waterfowl will start to migrate north in 60 or so days, we are working hard to keep the flocks immune systems healthy with oils, vitamins, minerals and just enough fuel to keep them warm and strong for the migration north in the spring. WE DON’T WANT SICK OR WEAKENED BIRDS MIGRATING TO OTHER PLACES ONLY HEALTHY STRONG ONES. In the spring the birds to the south like heron and egret will take the place of the large flocks of water fowl if past years are any indication of the future. 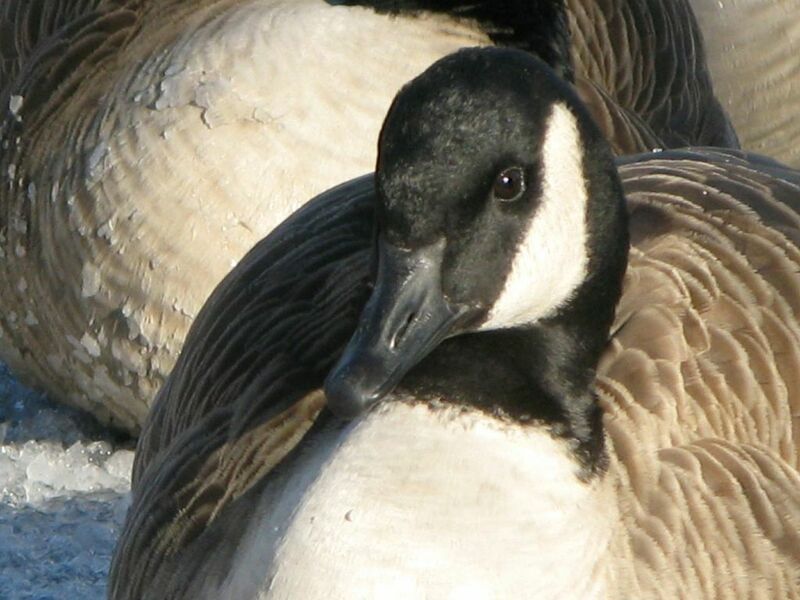 The waterfowl (geese and ducks) are hearty species, however many have traveled long distances and are stressed, hungry and weakened from the long flight some thousands of miles. They are programmed to migrate south just below the ice line in the winter months, for thousands of years. Maybe tens of thousands. In recent years, the winters are getting more intense over the past years. Even record breaking, despite the general belief of climate warming. Looks more like significant climate change. Significant climate change requires the migrating wildlife to have bountiful landing areas or places to provide for them. A place to stop rest, eat, recover from long migrations and prepare for the next, build strong social bonds so the flocks are large enough to travel together to reduce the amount of energy to move through the air for many hours, which new proof has proven flying in v formations does just was scientifically confirmed. Protected safe setting like North Cove does just that. North Cove wildlife conservancy effort include supplementing the food and providing medical treatment programs as well. Life at North Cove. Field monitoring over past few years…. Our monitoring and research shows, the Inwood North Cove Wildlife Sanctuary, has supported over 50 species of native and international migratory birds, and other life forms through the year, (depending on the time of the year) inc. blue and fiddler crabs, purple mussels, red-eared and snapping turtle, mollusks, many species of river fish, ocean eels, and aquatic invertebrates; muskrats, raccoon, opossum, feral cats, bees, and butterfly. Birds including sizable flocks of mallard, wood duck and more rare species of ducks, Canada and Brant Geese, sand piper (kind unknown), Common Raven, Black capped Chickadee, Starling, Northern Cardinal, House and a few other kinds of Sparrow, American Robin, Fish and American Crows, and several kinds of heron inc. Great Blue and Green-backed Heron, Black-Crowned Heron, King Fisher, Great Egret, Golden-fronted and Red-bellied woodpecker, Northern Flicker, and Red Tail Hawks, American Kestrel (smallest American falcon) and Peregrine Falcon, Turkey Vulture, Cooper’s Hawk, Red-shouldered Hawk, Red-tailed Hawk, Great-black Backed Gull, Herring Gull, Mocking Bird, Magpie.